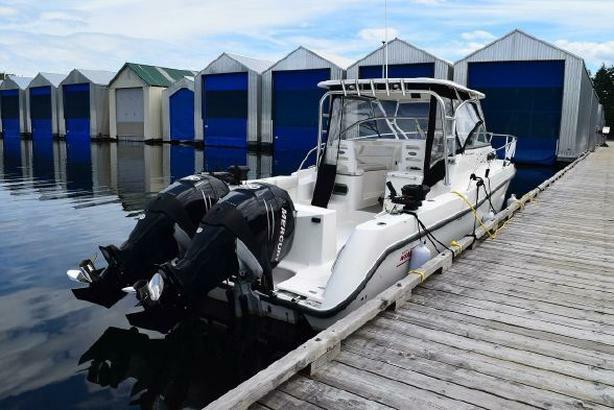 A great 305 Conquest, well maintained and ready to go! 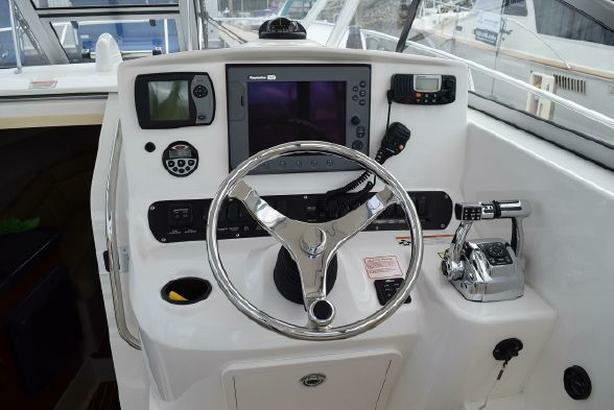 The Boston Whaler 305 Conquest boasts an impressive 58 square feet of cockpit space  perfect for fish fighting or entertaining or both. 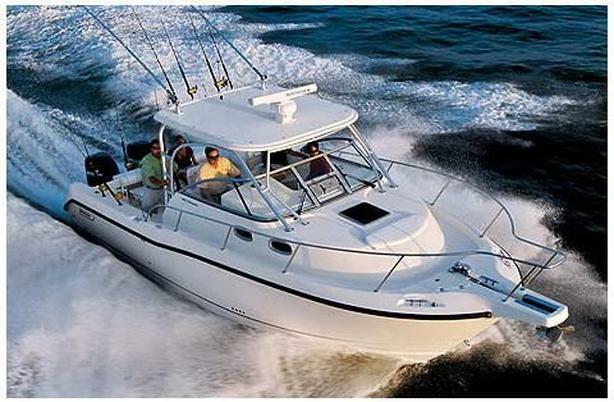 The 305 Conquests hull design combines quick planing capabilities with a smooth, dry ride. 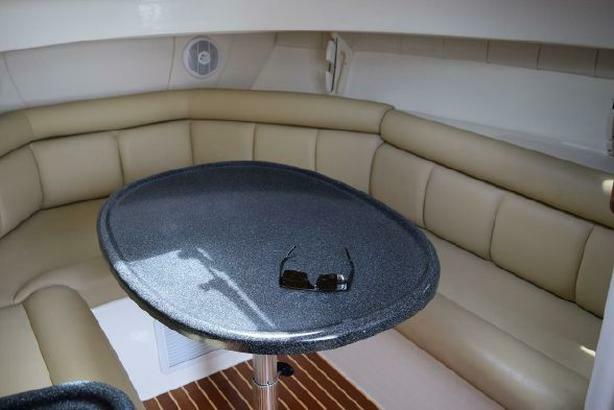 Its helm deck area is elevated for superior visibility fore and aft, with a portside settee for lounging while leisurely watching the lines. 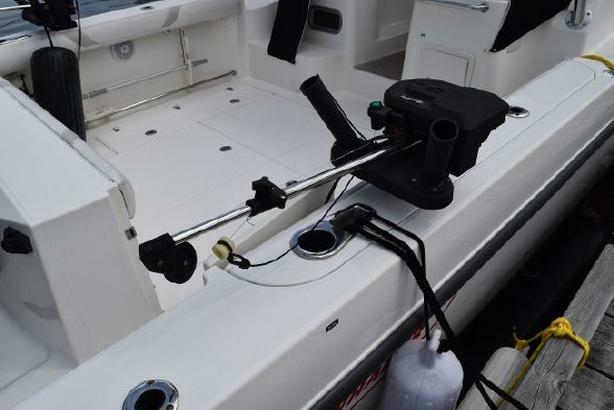 The fully adjustable helm seat features a flip-up seat cushion that converts it to a bolster seat for operation while standing. 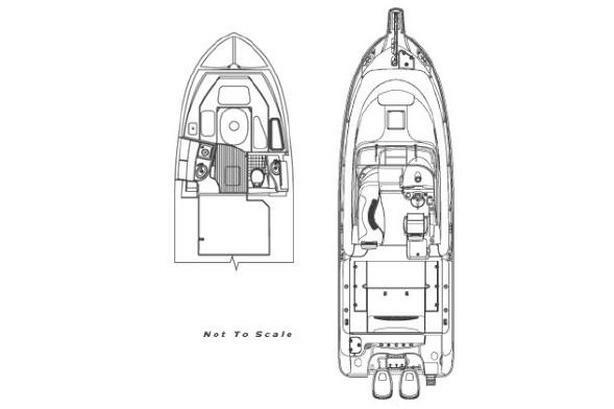 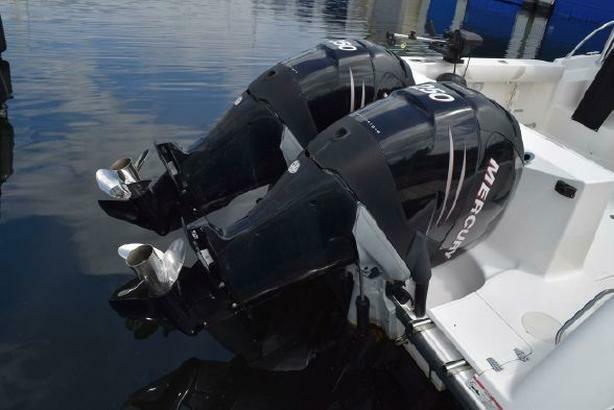 The recessed bow walkaround provides more secure-feeling access to the anchor locker and bow area. 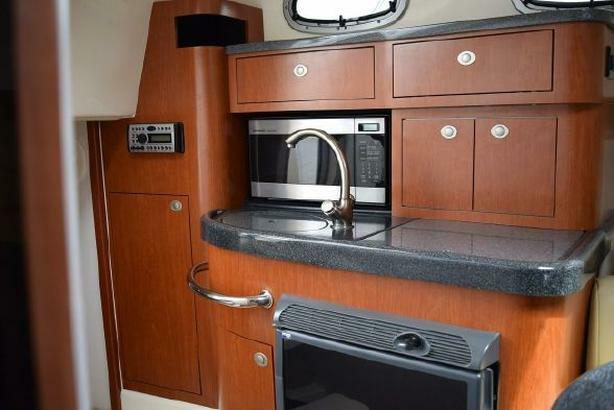 The cabin interior is warm and inviting, thanks to rich accoutrements including cherry cabinetry, granite-colored countertops and decorator vinyls and accents.